Jon Stewart is returning to directing. The former host of “The Daily Show” will direct the feature film “Irresistible,” a political satire, individuals with knowledge of the project told TheWrap. Steve Carell is also in early talks to star, an individual with knowledge of the project said. The film is based on Stewart’s original idea, and it is his first since his directorial debut, 2014’s “Rosewater,” and his first since leaving “The Daily Show” in 2015. Plot details are still under wraps. Stewart will also produce the film with Brad Pitt’s Plan B Entertainment. The project is in the beginning stages of development, and it’s unclear when production will begin. “Rosewater,” a drama, was the story of Iranian-Canadian journalist Maziar Bahari, who was detained and tortured by Iranian forces for several months under suspicion that he was a spy. The film starred Gael Garcia Bernal in the lead role. 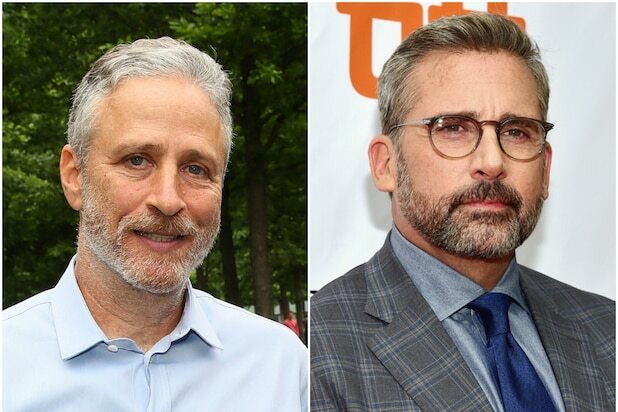 Carell will next be seen in “Beautiful Boy” opposite Timothee Chalamet, Robert Zemeckis’ “Marwencol” and “Vice,” where he plays Donald Rumsfeld. Stewart is repped by UTA, Dixon Talent and Hansen Jacobson. Variety was first to report the news. Carell is repped by WME.